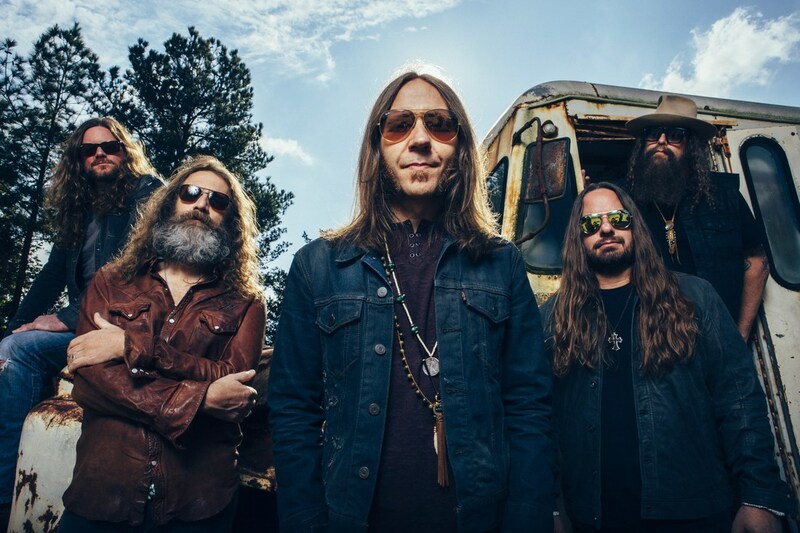 ,Southern rock band Blackberry Smoke return with their sixth studio album, ‘Find A Light.’ This album was self-produced by the Atlanta based five-piece with all 13 tracks having a writing credit for their front man – Charlie Starr. Their last three albums have all gone into the top ten of the country charts – with their last two heading to number one – and the band will be hoping for the same again following this release. If you don’t know what to expect from Blackberry Smoke it won’t take much time when listen to this album as Flesh and Bone, released as a single in January, opens with a drum and guitar intro before Starr tells us about how everyone can give into temptation as we are just flesh and bone. The Southern Rock vibe continues with Run Away from It All as Starr paints a picture of miles and miles of open road in front of you and making the most of life without looking back. The guitar intro is bound to get the crowd going for The Crooked Kind before the album slows down the pace for Medicate My Mind. I’ve Got This Song offers more of a country music sound than the Southern Rock vibe that opened the album. A tale of treasuring the things that are most important to you as nobody can take that away from you. Life brings its ups and downs but if you work hard and stay focused on your goal you may get the Best Seat in the House. This is one of my favourite tracks with catchy lyrics that are bound to be sung along to around the world. Just before the album’s release, Blackberry Smoke released I’ll Keep Ramblin’ (featuring pedal steel guitar man Robert Randolph). Offering a country gospel sound it’s a fun unique sounding collaboration about not staying in the same place for too long and considering Blackberry Smoke play upwards of 250 shows a year that is something they are clearly used to. After the tempo change Seems So Far brings back the mellow sounds that investigates what makes us who we are – the end is out there somewhere but it seems so far from here. Lord Strike Me Dead is the I’ve had enough track and you need to take a step back. Amanda Shire adds guest vocals to Let Me Down Easy, the country music breakup song about not wanting to be too heartbroken as one day you will look back and smile. The guitars and drums make an up tempo return for Nobody Gives a Damn - when you try to make a big impression but nobody is interested. The album comes to a close with Till the Wheels Fall Off – where you are going to keep going as long as you possibly can – before folk band The Wood Brothers feature on the albums final track Mother Mountain. With the album set for release this week, many people may not consider Blackberry Smoke to be in the country music genre and are just a rock band. Just one listen to this album will prove to you that they do belong in the wide-ranging genre and do deserve their place at the top of the country music chart. Yes it is a very different sound to the albums released this week that are set to head to the top of the charts; however the album offers something for everyone with country lyrics, gospel choruses, pedal drums, folk and rock guitar and drums solos that all provide a journey through the album. UK fans of the band will get more than their fair share of opportunities to see them live this year this side of the Atlantic. They will first be coming over to perform at the Ramblin’ Man Fair in July before heading to all corners of the UK and Ireland in November for a 12-date tour with two nights at London’s O2 Shepherds Bush Empire.